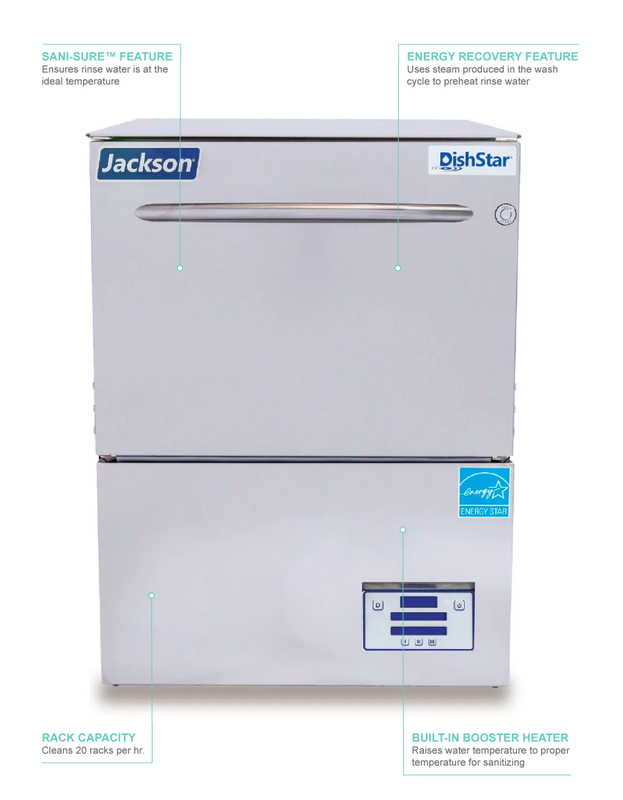 The Jackson DISHSTAR HT-E-SEER high-temp undercounter dishwasher can wash 20 racks each hour. It runs on normal, heavy, and extra heavy cycles that take 145, 213, or 313 seconds, respectively. 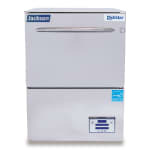 A booster heater and monitoring system are integrated into the unit to ensure the water temperature sanitizes dishes. Hot water vapor is used from the wash cycle to preheat rinse water for energy conservation. This warewasher starts at the push of a button and automatically fills with the correct amount of water. A digital control panel simplifies operation, and a universal timer tracks the wash cycle. To ensure correct pressure in areas where it can fluctuate or run too high, the unit has a pressure regulator. Corrosion and lime deposits are removed by the deliming cycle. 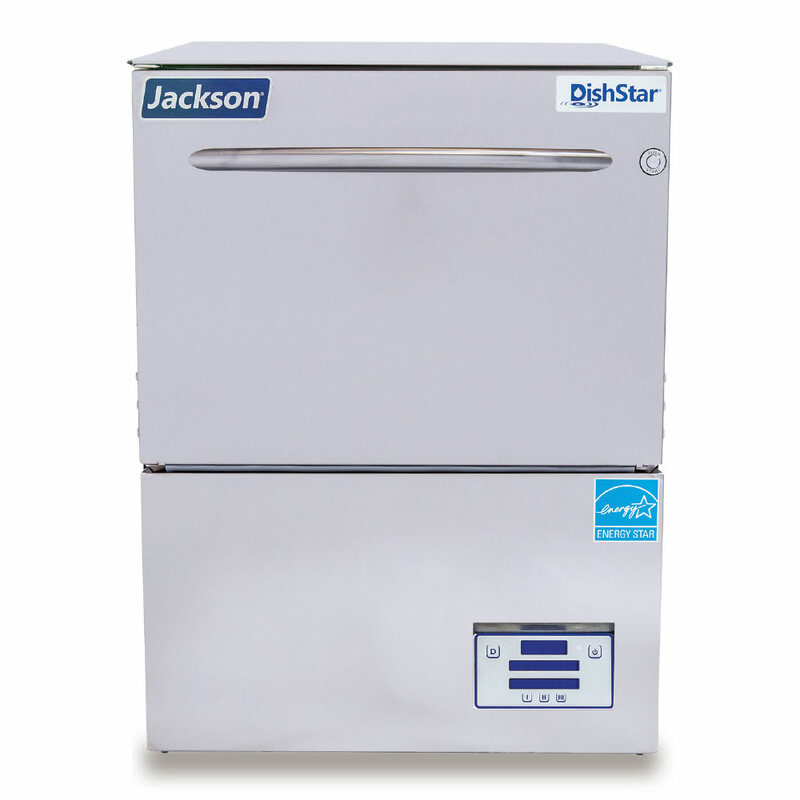 Made of stainless steel, the Jackson DISHSTAR HT-E-SEER rack undercounter dishwasher is durable for high-volume use and rust resistant. Can wash 20 racks per hr. Uses 13 gal. of water per hr. Take a look at this guide on undercounter dishwashers to learn more about these units.